Mixing There are 54 products. 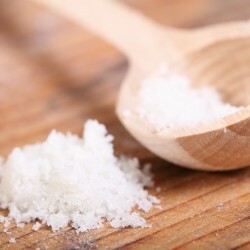 The tool you never knew you 'kneaded' until you got one... Diameter Ø 6 cm. Beautiful and very sturdy. The tool you never knew you 'kneaded' until you got one... Diameter; Ø 8.5 cm. Beautiful and very sturdy. 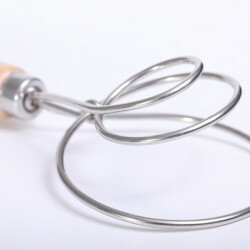 Sturdy stainles steel spiral whisk with beechwood handle. 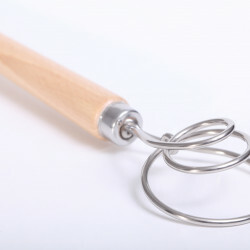 Ideal tool for quickly whisking small quantities of batter. Length 27 cm, spiral 7 cm. Available in three sizes. Light weight and easy to use with flat base and curved lip. Always come in handy. 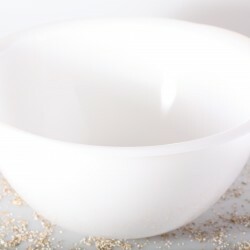 Food grade plastic mixing bowls, absolute odorless. Three sizes, 6, 9 or 13 liter capacity. 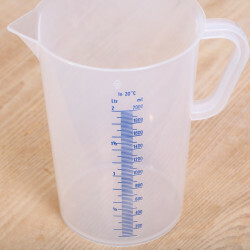 Measuring jug with scaling made of translucent polypropylene / thermoplast. Capacity 1 liter. 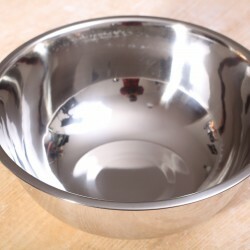 Hard wearing and dishwasher safe. Pleasant handle and spout for easy pouring. 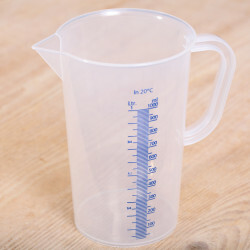 Measuring jug with scaling made of translucent polypropylene / thermoplast. Capacity 2 liter. Hard wearing and dishwasher safe. Pleasant handle and spout for easy pouring. 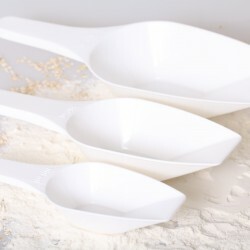 A bread baker needs a flour scoop! Available in four sizes; 100ml, 250ml, 500ml and 1000ml. Handy slim and versatile spatula to decorate, scrape and stir. Save for nonstick pots and pans. Flexible yet sturdy. Dishwasher safe and heat resistant. Measures L24 x W2.5 cm / 9.4 x 1 inch. Color yellow. Handy slim and versatile spatula to decorate, scrape and stir. Save for nonstick pots and pans. Flexible yet sturdy. Dishwasher safe and heat resistant.Measures L24 x W2.5 cm / 9.4 x 1 inch. Color orange. Handy slim and versatile spatula to decorate, scrape and stir. Save for nonstick pots and pans. Flexible yet sturdy. Dishwasher safe and heat resistant. Measures L24 x W2.5 cm / 9.4 x 1 inch. Color red. Handy slim and versatile spatula to decorate, scrape and stir. Save for nonstick pots and pans. Flexible yet sturdy. Dishwasher safe and heat resistant. Measures L24 x W2.5 cm / 9.4 x 1 inch. Color fuchsia. 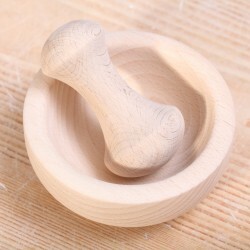 Pestle and mortar made of European beech wood. 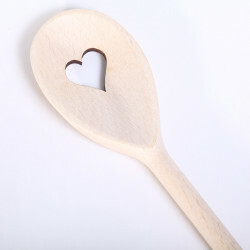 This wooden spoon with a hole in the shape of a Heart, also makes an ideal gift and shows your love for cooking or the cook of course. Made of European beech wood.Measurements: 30 x 6 cm / 11.8 x 2.3 inches. Made within the EU. 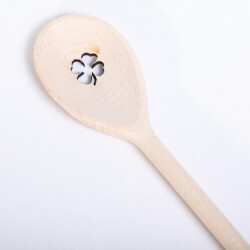 This wooden spoon with a hole in the shape of a four-leaf clover makes an ideal gift for cooks and bakers who need some luck and support. Made of European beech wood.Measurements: 30 x 6 cm / 11.8 x 2.3 inches. Made within the EU. 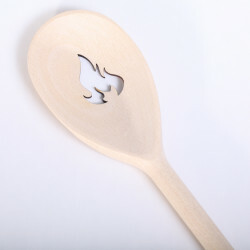 This wooden spoon with a hole in the shape of Flames, also makes an ideal gift for cooks and bakers who like hot and spicy dishes. Made of European beech wood.Measurements: 30 x 6 cm / 11.8 x 2.3 inches. Made within the EU. 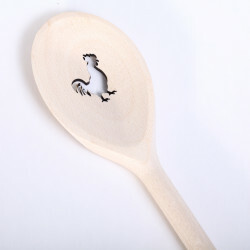 This wooden spoon with a hole in the shape of a Rooster makes an ideal gift for cooks and bakers who think a plain spoon is just so plain boring. Made of European beech wood.Measurements: 30 x 6 cm / 11.8 x 2.3 inches. Made within the EU. 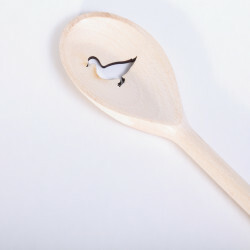 This sturdy wooden spoon with a hole in the shape of a Duck makes an ideal gift for cooks and bakers who are calm on the surface... Made of European beech wood.Measurements: 30 x 6 cm / 11.8 x 2.3 inches. Made within the EU. 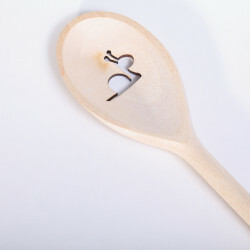 This sturdy wooden spoon with a hole in the shape of a Snail makes an ideal gift for cooks and bakers who believe in slow food. Made of European beech wood.Measurements: 30 x 6 cm / 11.8 x 2.3 inches. Made within the EU. 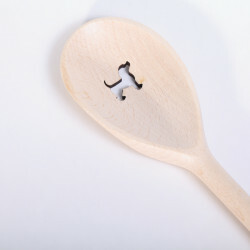 This sturdy wooden spoon with a hole in the shape of a Dog. 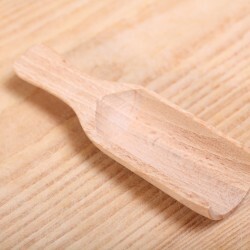 No 'dogs dinner' with this lovely spoon!Made of European beech wood.Measurements: 30 x 6 cm / 11.8 x 2.3 inches. Made within the EU. This sturdy wooden spoon with a hole in the shape of a Cat. How cool is this cat as a gift!Made of European beech wood.Measurements: 30 x 6 cm / 11.8 x 2.3 inches. Made within the EU. 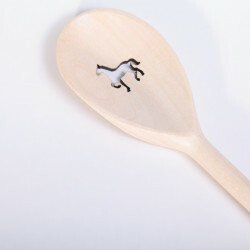 This sturdy wooden spoon with a hole in the shape of a Horse. Maybe a special gift for a collector or someone who could eat like a...Made of European beech wood.Measurements: 30 x 6 cm / 11.8 x 2.3 inches. Made within the EU. 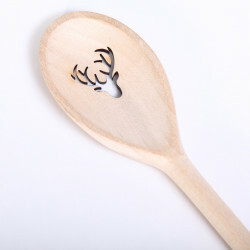 This reindeer spoon, made of European beech wood will make any cook or baker stir with cheer! Measurements: 30 x 6 cm / 11.8 x 2.3 inches. Made within the EU.